With dedication and best efforts of our employees, we, A1 Decors, have been able to manufacture, supply and wholesale a wide array of Roofing Structures, Window Blinds and Parking Sheds. These products are designed in our world-class manufacturing facility with premier-grade raw material. Offered products are highly demanded in the market for their customized design, prolonged service life, high stability and tensile strength, corrosion, heat and water resistance as well as easy installation. Owing these features, offered products are installed in malls, hospitals and various other commercial or domestic premises. We welcome queries from Tamil Nadu including Chennai, Madras, Coimbatore, Kanyakumari, Nilgiris, Tirupur, Vellore, etc. 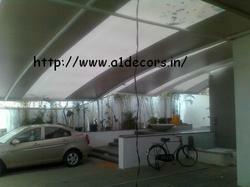 We specialize in the manufacturing and supplying extensive range of Tensile Membrane Structure. We carry out the manufacturing process of these products under proper guidance of professionals by making use of the optimum grade raw material, which we procured from our trusted and reliable vendor in the industry. Moreover, latest scientific machines and equipments are employed to avoid errors in the final finished products. We welcome queries from Tamil Nadu including Chennai, Madras, Coimbatore, Kanyakumari, Nilgiris, Tirupur, Vellore, etc. 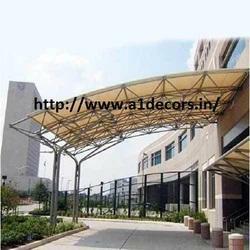 We are one of the leading manufacturers and suppliers of a wide range of Tensile Structures. These products are manufactured using high quality material and machinery, which is procured from the reliable vendors of the industry. Moreover, in order to remain at par with the set industry standards, we test the entire range on various well-defined parameters before the final delivery at clients' end. We welcome queries from Tamil Nadu including Chennai, Madras, Coimbatore, Kanyakumari, Nilgiris, Tirupur, Vellore, etc. We hold expertise in offering superior quality of Parking Sheds manufactured using superior-grade raw-material procured from the most trusted vendors of the industry. 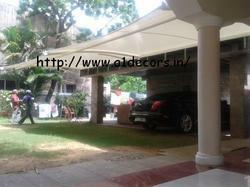 Under this range, we are providing Tensile Car Parking Sheds. All our sheds are widely appreciated by our customers due to their abrasion resistance, lightweight and excellent finish. Widely being used in various commercial and domestic areas, this range is made available by us in various designs, sizes and other specifications. We welcome queries from Tamil Nadu including Chennai, Madras, Coimbatore, Kanyakumari, Nilgiris, Tirupur, Vellore, etc. 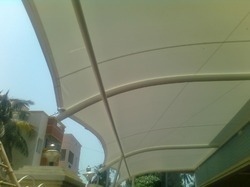 We specialize in the manufacturing and supplying sustainable range of Polycarbonate Roofing Structures. These high-grade products are fabricated using quality-approved raw material, which is sourced from the most authentic and reliable vendor in the market. In order to assure high quality output, skilled professionals are hired to provide proper guidelines to our staff to fabricate these high quality range of products. We welcome queries from Tamil Nadu including Chennai, Madras, Coimbatore, Kanyakumari, Nilgiris, Tirupur, Vellore, etc. 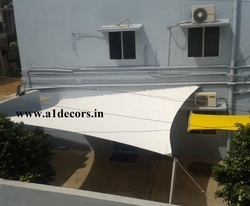 We are a leading and prominent supplier and manufacturer from Chennai. 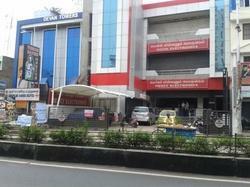 We offer Vehicle Parking Sheds such as Car Parking Sheds, Covered Car Parking Shed and Tensile Car Parking Sheds. 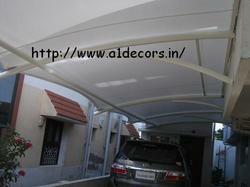 These sheds are offered as per customers requirements at highly reasonable rates. We welcome queries from Tamil Nadu including Chennai, Madras, Coimbatore, Kanyakumari, Nilgiris, Tirupur, Vellore, etc.